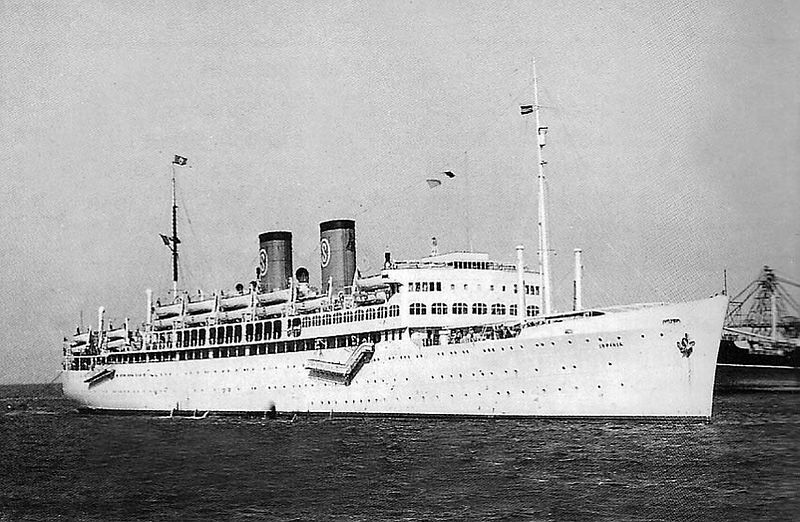 This is the Ship which brought my mother to England - the T/V Irpinia. It took her from the sun of Kingston to a wintery Plymouth in February 1956. 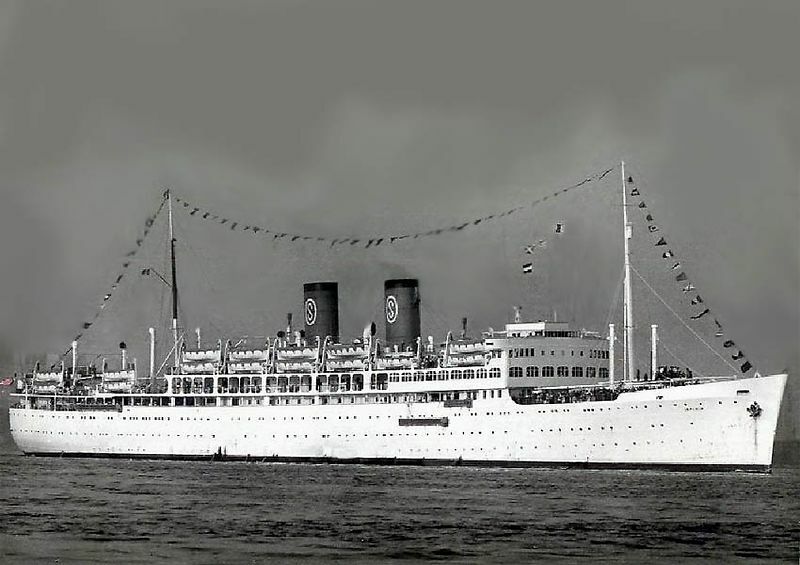 Made in 1929, by Swan Hunter on the River Tyne, and originally called the SS Camapna, she once sailed from Marseille to South America. 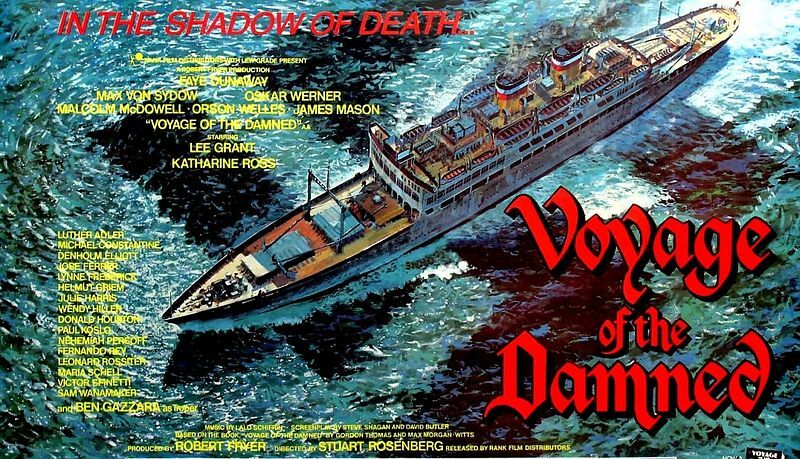 At the end of her life, the Irpinia was used in the film 'The Voyage of the Damned'. 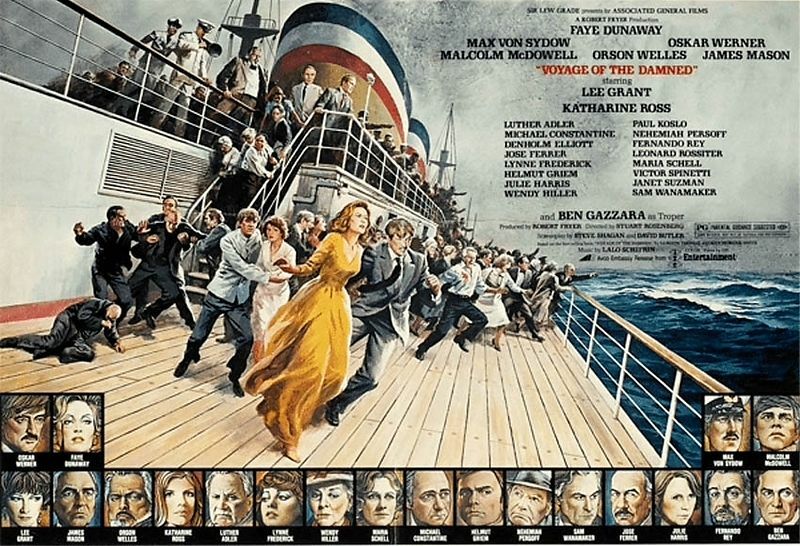 The film, based on the true story of the SS St. Louis, which departed from Hamburg for Cuba with 937 Jewish people fleeing Nazi Germany. Unfortunately, the Nazis had given the passengers fake visas which no country would except. As a Nazi official in the film states "When the whole world has refused to accept them as refugees, no country can blame Germany for the fate of the Jews" 600 of the 937 passengers did not survive losing their lives in Auschwitz.